We are looking for adults to staff Camp Life 2018! If you are interested click the link below to sign up today! 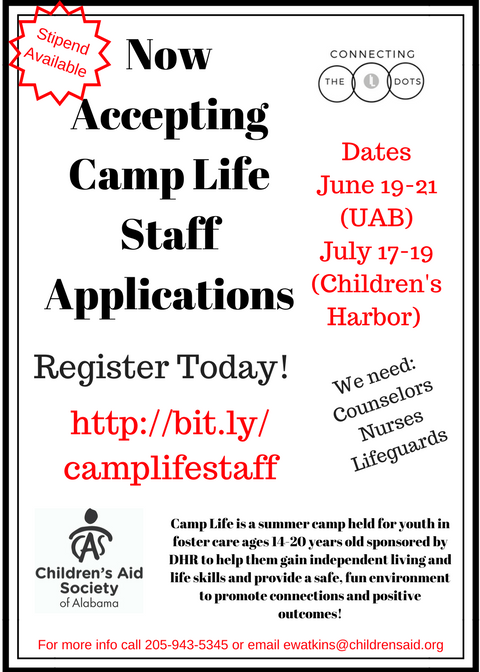 Make a difference in the life of an Alabama foster youth TODAY!